Vtrip, its not just an application but its a virtual guide for every tourist who wants every detail about the place they are visiting. Vtrip App is being developed by our smart team and we have created every feature that a tourist needs. Vtrip has some very unique features like where is the parking spot, toilet facilities, petrol pump distance from your location, cleanliness level of the place and many more. Vtrip App contains every single detail of the place you’re visiting like if you’re visiting a historic fort then Vtrip will give you a brief detail about the history of that fort which even a local guide can’t provide. Vtrip is attached with social sites too where you can share your memories and the details of the places you’ve visited and you can even share your reviews about this app on social medias. Vtrip allows you to give review and ratings of the places you’ve visited. From morning breakfast to dinner ,Vtrip will provide the list of best place to visit to have breakfast,lunch and dinner. Want to party? Well Vtrip know where you should hangout and enjoy. From crowded place to mind soothing peaceful places, Vtrip knows it all. Vtrip will make your holidays a blissful and adventurous memory that you’ll never forget about. In the generation of modern technology , everyone wants their work to be done fast to keep up with their rivals or competitors but if you’re one of them who still using old methods to keep the records of your company then you just need a Application like EMUNIM which will handle your all records and data of your company at one place. 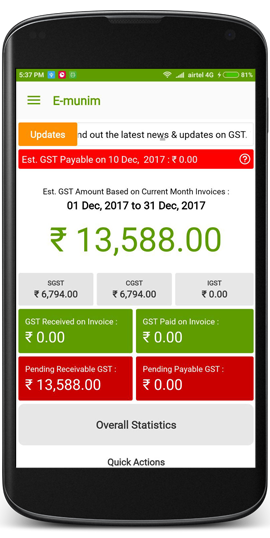 You don’t need a accountant or any skills of accounting because PAPASIDDHI have created a easy to use App which will make your work very easy. Whether its the record of sales or the record of remaining stock, from GST calculation to monthly expenses, EMUNIM does it all. All you have to do is just feed the data and leave to Emunim. Don’t you worry about your data safety because our team have created a very safe App which will not share any detail of your business or any personal data. EMUNIM is specially created for the people who are tired of keeping their books of account and managing all of them. EMUNIM will save your time and money. 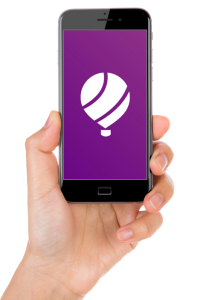 This app is specially created for the people who have small business and very easy to use. Even if you don’t have any accounting skills, EMUNIM will make you a pro of accounting in a very easy and quick way. Accounting skills are not required. Throughout the software, simple terminology is used. Uncluttered layout is given by the screens and also intuitive in use. GST calculation is included but it is approx not actual. 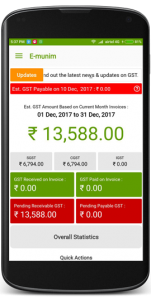 In this app, you’ll get latest latest GST calculation, confidentiality of personal data, and at anytime from anywhere get a PDF creation. Be a munim of your business with summarizing then calculating of your own records and data with eMunim. secure data and easily tracking of received, supplied and stocked data. Your one stop online marble ERP portal to manage your stocks with data accuracy using eMarble with real time integration. Every city and its citizen face some flaws and problems on a day to day basis because none of the city is perfect but its in our hand to make our city flawless. To make the city flawless citizen need a strong platform that will help them. 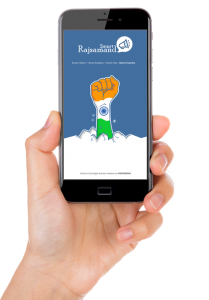 Papasiddhi have created a platform for the citizen of Rajsamand that will help them make Rajasamand a better place to live. SMART RAJSAMAND have a lot of features that will surely help the people of Rajsamand to make their city flawless. Here are some of the main features of Smart Rajsamand App. 5- City’s main business list. 6- List of public facilities. 8- List of Government office. 10- Details of current politicians. Smart Rajsamand is just a initiative for the people of Rajsamand to make them aware and bring them all together on a single platform which will inspire them to help develope Rajsamand. If we’re talking about smart city then we think very single city or village is smart if the public is aware of what’s going on in the city or village, which is why team Papasiddhi have created this App to make sure that people of Rajsamand share their opinion and advice to make the city a smart city. Smart Rajsamand’s main goal is to spread awareness between the public of Rajsamand, quickly develope the city, provide info of what’s going on in the city, information of public rights and give their business a boost.